Welcome to Pick Me Car Keys Adelaide help page for Nissan Car Key Replacement. We have put together some information to try and help you if you have lost your Nissan keys or if you require a spare key cut for your Nissan. We can provide replacement keys for Nissan Pulsar, Maxima, Dualis, Qashqai, Patrol, Pathfinder and most Nissan models. Pick Me Car Locksmith Adelaide are fully mobile and equipped to cut and program car keys and remotes on site saving you time and money. Many Nissan Vehicles manufactured from 1999 are more than likely to have a “transponder” immobiliser security system in them. The Nissan Pulsar, Patrol and 200SX built around that time have such a system and require a pin code to program spare or new keys. Nissan pin codes are not readily available, it requires expert knowledge and experience to acquire pin codes for most Nissans. Spare keys can be made from existing keys by a process we call cloning, we basically trick the car into thinking the copied key is the original. This process is relatively easy and much cheaper than waiting until you have no keys. Pick Me Car Locksmith Adelaide have the latest key cutting and programming equipment designed to help when you have any lock or key issues with your Nissan. 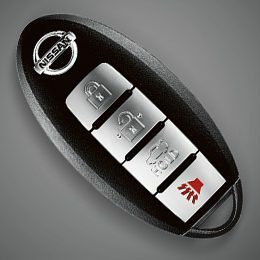 CLICK HERE TO GET A NISSAN CAR KEY REPLACEMENT QUOTE NOW !